Are your calf muscles large and they look fatty? Calf muscles usually turn bigger due to accumulation of fat which needs to be reduced. 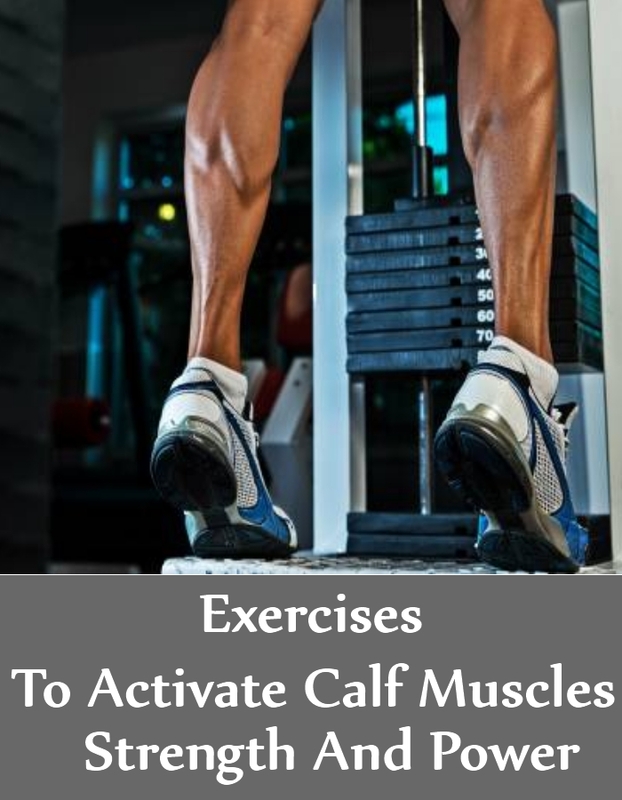 To reduce calf muscle size and tone them, you need to try some effective calf muscle exercises which will help in toning and slimming down your calves. However, remember in between all these exercises, you should be stretching out your muscles to prevent any kind of injury or inflammation. Start by standing as you keep your feet some distance apart from one another. Your arms shall be by your sides. You will hop to your right and land on your right foot, as you gently sweep away your left foot in a diagonal direction, as you keep it behind your right leg. You will be swinging your right arm to your back. You will jump towards your left, switch your arms and legs – this will be one repetition completed. Repeat the exercise for a minute. You need to alter your squatting to workout your calves. Squats are very effective in reducing excess fat throughout your body, including any fat deposit in your calves. You will be doing your squats without calf muscles getting activated and then activate the muscles by completing the squatting with a smart calf raise. You will feel your muscles getting worked on. Start by sitting comfortably on a chair. Your back will be straight and firm. Now, start circling with your left foot in a clockwise direction. You need to do this at least six times. You can again repeat counter at least six times. You will repeat the exercise using your right foot. This helps in improving blood circulation and reduce fat deposits from the calves, while toning the muscles. Hopping is the best way to tone your calf muscles and lose fat, which can be done at home or during your vacations. 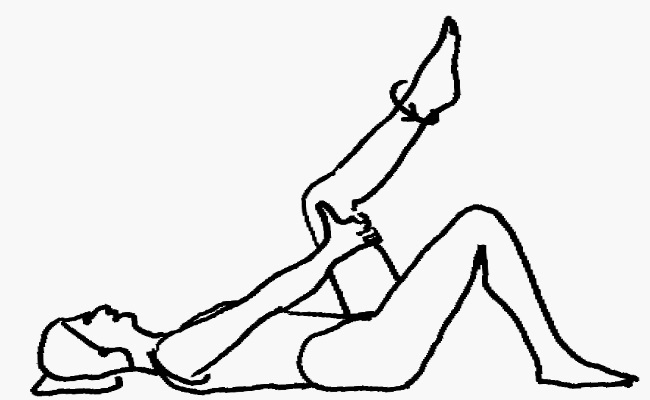 These effective movements helps in stretching out the calf muscles and improve blood circulation. Start by first hopping forward in front and then go back to the spot from where you started. You need to hop for at least 1 minute as many times as you can. However, do not forget to give recovery time to your muscles in between. This will prevent injury and inflammation. You will sit on a low chair. You need to have some weight, depending on your capacity, you can use a weight of 5 to 10 pounds, placed on the legs, as you sit down. This is from where you shall start your calf raises. You will actually be lifting the weight which is resting on the legs. As you do seated calf raises, you can lower or increase the intensity of calf work. 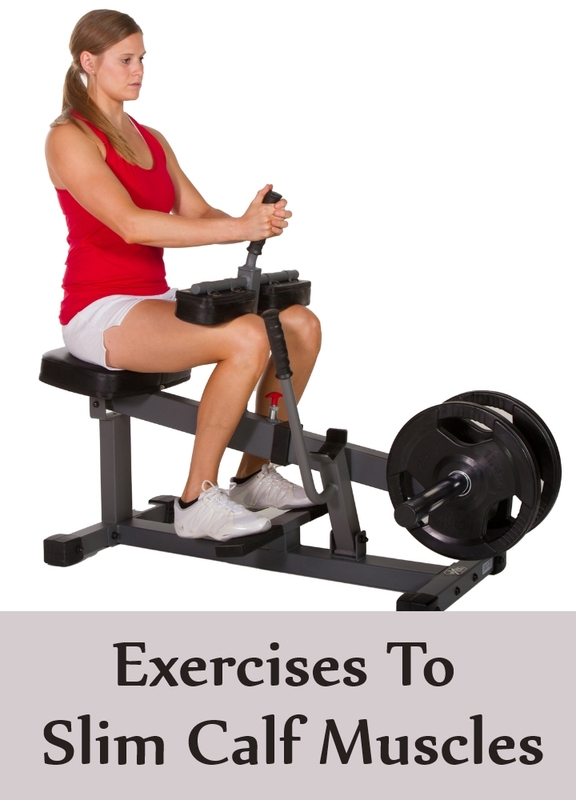 This is an effective exercise to workout your calf muscles and will also reduce their size effectively. This is a great workout for your whole body and not just your calf muscles. It sets your heart rate up also when you are working out. Stand straight and start with small jumps to your side. The movement will be like you are jumping to cross an invisible line. You will do the jumps as you keep your legs close to one another. Keep swinging your arms so that it is easy to jump. Repeat this movement for at least one minute.